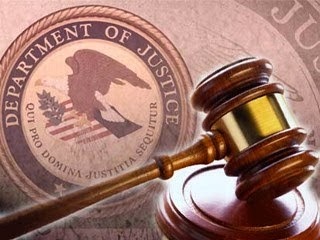 PHILADELPHIA – Xioaxing Xi, 47, of Penn Valley, PA, was charged by indictment, unsealed today, with four counts of wire fraud in an alleged scheme involving the exploitation of technology for the benefit of third parties in China. Xi, a naturalized U.S. citizen and a native of the People’s Republic of China, is a world-renowned expert in the field of magnesium diboride thin film superconducting technology. The fraud, it is alleged, was an effort to assist Chinese entities in becoming world leaders of the superconductivity field. The charges were announced today by United States Attorney Zane David Memeger, and FBI Special Agent-in-Charge Edward J. Hanko. The indictment alleges that, in 2002, Xi participated in China’s 863 Program, which was a Chinese government program intended to boost high-technology innovation and development in China. Thereafter, in 2002 to 2003, the indictment alleges that Xi took a sabbatical from his university position and worked with a U.S. company in the field of thin film superconductivity research. During his tenure at the company, individuals there invented a piece of technology which revolutionized the field of superconducting magnesium diboride thin film growth. The indictment alleges that, starting in January 2004, Xi made efforts to obtain the technology from the company. The indictment further alleges that Xi applied for and was awarded a U.S. Defense Department grant to finance his purchase of the device for research relevant to the Department of Defense. In January 2006, Xi obtained the device for 12 months subject to an agreement that he not reproduce, sell, transfer or otherwise distribute the device or any copies of the device to any third party. The indictment alleges that Xi signed this agreement as part of a scheme to defraud the company into providing him the technology, so that he could provide it to entities in China and assist those entities in further exploitation and use of the technology. The indictment further alleges that Xi repeatedly reproduced, sold, transferred, distributed, and otherwise shared the device with, and exploited it for the benefit of, government entities and other third parties in China. It is further alleged that, in exchange for his efforts, Xi repeatedly sought lucrative and prestigious appointments in China. According to the indictment, Xi’s emails include a communication on May 14, 2010, to an associate in China, confirming the delivery of certain technology to a laboratory in China; and three emails to separate associates in China, in June 2010 and December 2010, in which Xi offers to build a world-class thin film laboratory. If convicted the defendant faces a maximum possible sentence of 80 years in prison, three years of supervised release, a fine of up to $1 million, and a $400 special assessment. The case was investigated by the FBI and is being prosecuted by Assistant United States Attorney Jennifer Arbittier Williams.